30 Aug 2018 --- The Brewers of Europe (BoE) has criticized a European Commission proposal to include all ingredients in beer, even those added after fermentation, in order to calculate excise tax on alcohol. The proposed revision to the tax calculation system has angered European brewers who claim it would be unfair, discriminatory and completely contradictory to the harmonization objectives of the Directives. According to the BoE, the revised structures directive flouts EU law by contradicting the recent ruling of the European Court of Justice. 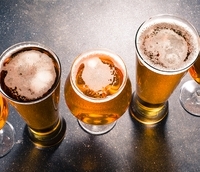 The beer sector had expected that the Commission’s proposal would follow the Court’s decision on the Degrees Plato measurement system, used by half of the EU’s member states for calculating beer excise duties. In its ruling on in May, the European Court of Justice clarifying the Degrees Plato calculation was clear that you cannot have a system for taxing the alcohol content of beer whereby flavored beer and a regular beer – of the same alcohol content, produced by breweries of the same size, in the same country – pay a different rate. Council tax working groups resume their discussions next week on the European Commission’s “Proposal amending Directive 92/83/EEC on the harmonization of the structures of excise duties on alcohol and alcoholic beverages.” And the BoE calls upon the Council, the European Parliament, the European Economic and Social Committee (EESC) and the European Commission to ensure that the revised Structures Directive is lawful and delivers on its objectives. By the European Commission making a proposal that "all the ingredients of the beer, including those added after fermentation, shall be taken into account for the purposes of measuring the degree Plato,” it is no longer solely a tax on the alcohol, says the BoE. Under the Commission’s proposal and in contradiction with the CJEU judgment, these sugars would be considered for the measurement of the degree Plato and therefore the calculation of the excise due. The result is that a flavored beer – even if produced by a brewery of the same size, in the same country – would be subject to a higher rate than a regular beer of the same alcohol content. The BoE sent its latest letter to Europe’s Taxation Commissioner, Pierre Moscovici, expressing brewers’ dissatisfaction and disbelief at the Commission’s proposal to contradict the decision of the EU’s highest court. “Our correspondence with the Taxation Commissioner shows that the sole justification found for the contentious proposals relates to the technical, practical and economic challenges of measuring and enforcing Plato legally and correctly,” adds Bergeron. The BoE stress that while it supports the majority of the Commission’s proposal, to ensure Better Regulation and respect of the Rule of Law, it is urging the Council and the European Parliament to reject this part of the proposal and calls for an amendment to clarify that ingredients added after fermentation shall not be considered for the purposes of measuring the degree Plato. Alcoholic Beverages Beer Brewers Of Europe Degree Plato Alcohol Tax Excise Duty Sugar Fermentation European Parliament European Commission European Economic And Social Committee Flavored.